Provide comfort for the family of Marsella Price with a meaningful gesture of sympathy. 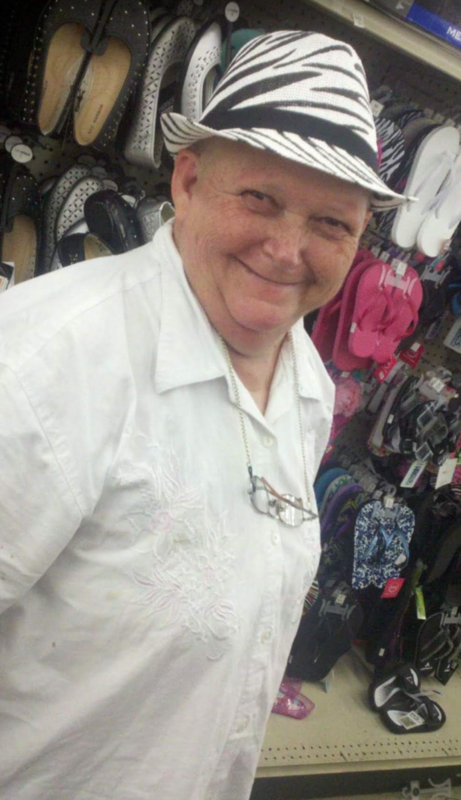 Helen "Marsella" Price, 66, of Travelers Rest, went to be with the Lord on Tuesday, March 12, 2019. Born in South Carolina, she is the daughter to the late Harley and Ethel Ledford. She is survived by her loving spouse of many years, Herbert "Rooster" Price Sr.; her sons, Herbert Price Jr. and Earl Flynn Jr.; her eight brothers and four sisters; and her grandchildren, Kendal, Taylor, Bryson, Ray-Ray, Bryce and Jaxon. Marsella enjoyed sewing, collecting dolls and especially loved helping anyone that was in need. She was a wonderful and loving mother, grandmother, wife, sister and aunt. Her family will remember her for her loving smile and ability to help anyone. She was preceded in death by her grandchildren Angel Price and Teddy Henderson, a brother and a sister. A Memorial Service will be held at Calvary Baptist Church. To send flowers to the family of Marsella Helen Price (Ledford), please visit our Heartfelt Sympathies Store. We encourage you to share any memorable photos or stories about Marsella. All tributes placed on and purchased through this memorial website will remain on in perpetuity for generations. Provide comfort for the family of Marsella Helen Price (Ledford) by sending flowers. Please accept my heartfelt condolences to you and your family on the loss of your beautiful wife, mother and grandmother. Even though the sting of death is hard to deal with right now, the Bible gives each and every one of us the reassuring hope found at John 11:25 where Jesus promises us the resurrection which he talked about and demonstrated while he was on the earth. This scripture allows us to see that death is not permanent and you will be able to see your beloved family member again. Even though Marsella is asleep in death right now she is not suffering and when she wakes up she will be in perfect health, living on a fully cleansed earth and waiting to welcome back family and friends with open arms. I hope these words provide you with Comfort at this most difficult of times.